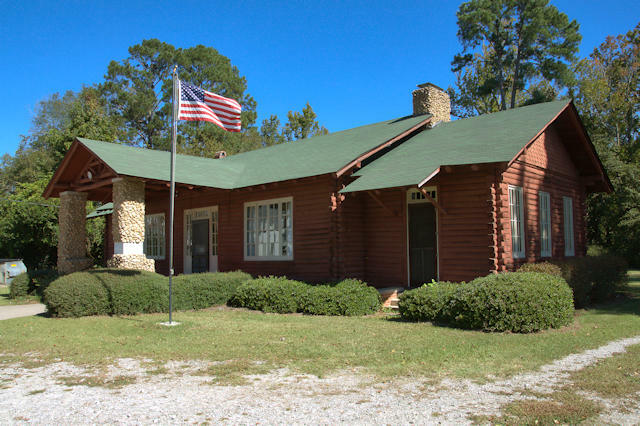 The Tennille Woman’s Club began as a sewing circle in 1914 but suspended activities during World War I to assist with the war effort on the home front. After branching out to civic involvement the club was incorporated in 1920. They were accepted into the state and national federations in 1921 after certifying that they had no political or sectarian entanglements. Women’s clubs became very active in the last decade of the 19th century and continued well into the 20th. The club is still active today and has shared the clubhouse with various groups over the last century. Upon its dedication, the facility was christened the Washington County Memorial Clubhouse, in honor of local men who served in World War I.